Shahid & Mira At IIFA Are All The #MarriageGoals You Need! Mira’s first ever appearance at IIFA and Shahid wins the Best Actor award for Udta Punjab… There’s got to be some connection there!! The lady sure is lucky for him and the two never shy away from proclaiming their love in public. And IIFA was just another occasion where we got to see the two in all their mush element. 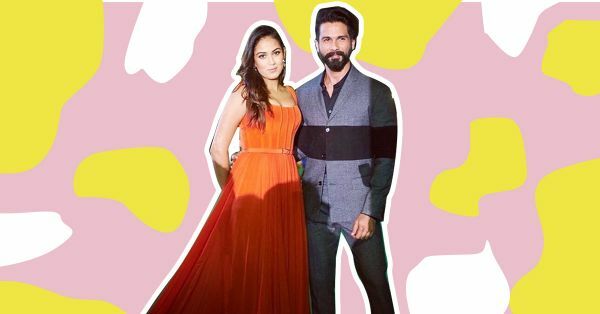 Go on, take a look at how Shahid and Mira are giving us some major married couple goals! 1. When they arrived in New York looking like the cutest family EVER! 2. When Shahid, like a true gentleman, helped his lady love out of the car. Didn’t they always say, when you find a man who can make you laugh, marry him! 4. When they were like any other couple who loves to take selfies! Don’t they look like two people who absolutely love each other’s company?! 6. And this kissie selfie… Awww! 7. The night ended with Shahid receiving the best actor award. But not before the two hugged each other. We totally dig such moments! 8. And then he thanked his lovely wife Mira with the most heartfelt caption.